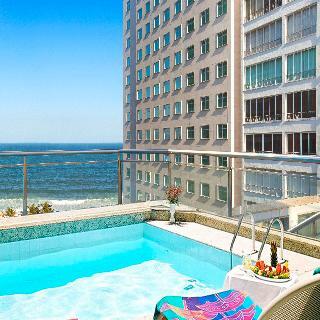 Set right in the heart of arguably the world's most famous beach - Copacabana, this modern hotel is the perfect place for anyone who wants to explore what makes Rio De Janeiro such a popular tourist destination. 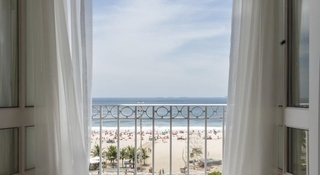 Besides the beach, which is just 500 metres away it guests will be within a 10-minute walk from the beautiful Rodrigo de Freitas Lake and the surrounding area can offer them everything from trendy restaurants, to family-run cafes and charming shops. The nearest metro stop if just a 5-minute walk away at Cantagalo and it can provide easy access to Sugarloaf Mountain, some 8km away and the Maracana Stadium - 14km away. The hotel itself offers an excellent outdoor pool where one can find some much needed cool in the warm days and work on the perfect tan. For a chilled cocktail guests are warmly invited to the in-house bar, which specializes in exotic drinks and premium beers. Escape to Niteroi and experience a contemporary 4 star hotel where modern design and breathtaking views set the stage for exclusive and extraordinary experiences.Located on the Guanabara Bay, across downtown Rio de Janeiro, the H Niteroi Hotel boasts 20 floors with 264 suites, some with exquisite views of the bay and the Sugar Loaf.Indulge in first-class guest amenities, including the Don Juan Restaurant, the Lobby Bar and our infinity pool. Enjoy the astonishing water views from the Deck Bar, sauna, and fitness Center. 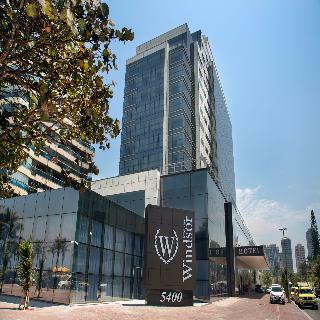 This hotel is set in the vibrant city of Rio de Janeiro. 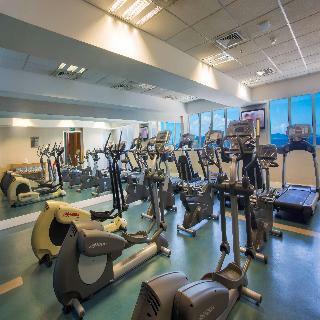 The hotel lies just a short distance away from a number of attractions in the city. 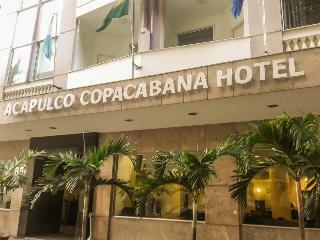 Copacabana Beach and Ipanema Beach can be found nearby. 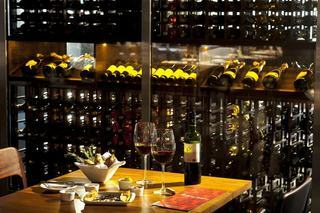 Rodrigo de Freitas lagoon is just 2 km away from the hotel. The hotel lies just 5 km away from Pan de Azucar. The international airport is just 24 km away from the hotel. This charming hotel enjoys an attractive design. The guest rooms are classically styled, offering peace and serenity, complemented by elegance and charm. The hotel features a rooftop pool and sun terrace, where guests can enjoy a leisurely swim, or simply sit back and enjoy the spectacular views over the city. The hotel offers a wonderful breakfast in the mornings, for a superb start to the day.